The latest episode from the one and only ‘Cranium Titanium Metal Radio Show’ with Trevor McCormack from Monday the 29th August 2016. Choc full of great new underground music and features. 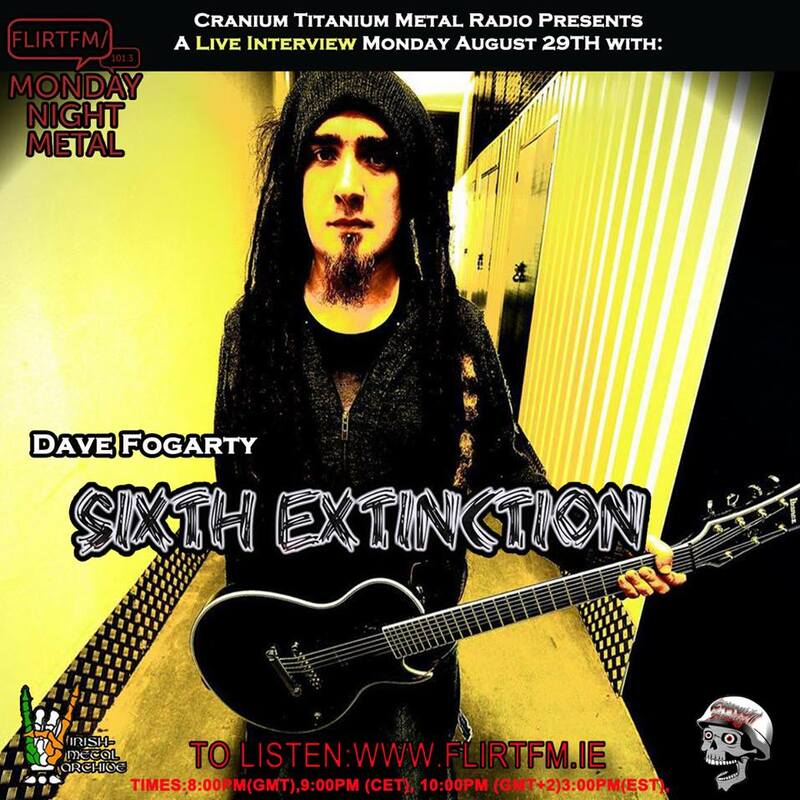 LIVE INTERVIEW With Dave Fogarty from SIXTH EXTINCTION. Gig news on SADISTIC INTENT , BLOOD THREAD + WORDS THAT BURN + ALPHEIDAE. New Music From HAWKA, ILENKUS. And exclusives from AFTERLIFE TO ASHES and XERO.